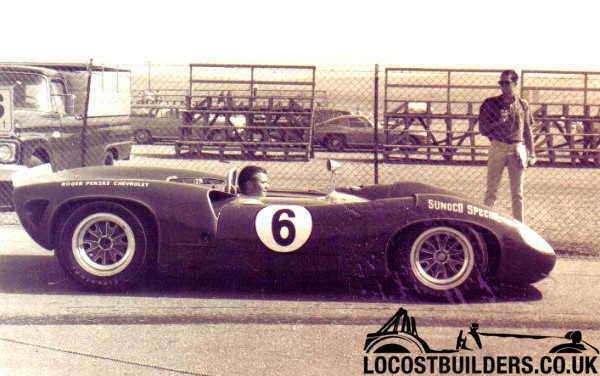 Seeing as Ron has started a Lola T70 section, let me be first in. I have been lurking on this site for a while, and have found a lot of extremely useful and interesting info here. 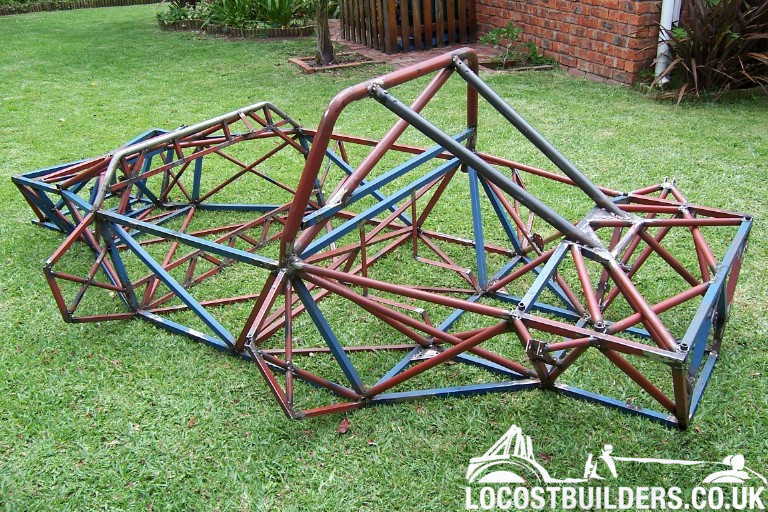 I am a 43 year old mechanical engineer and motor sport enthusiast in Port Elizabeth, South Africa and am building up a self designed space frame two seater mid engine sports car from scratch, that I want to look like a late 60's CANAM style car. I will use it on the road for fun and possibly do some track racing, in our "classic" class out here. So far I have a prototype chassis complete, all the running gear figured out, and the engine running in the proto chassis. 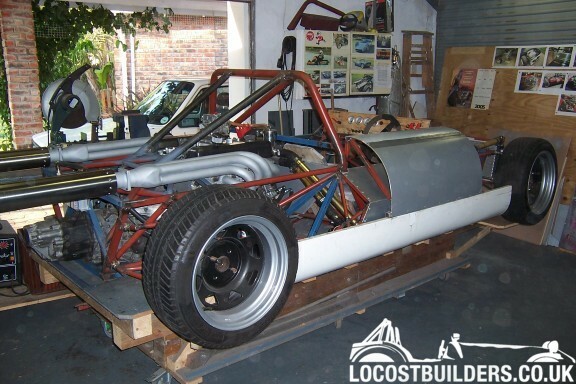 With regard to body work, I have decided to make my own buck, moulds and bodywork and am inspired by the Lola T70 sypder. To me, this is one of the prettiest cars ever build. I will try to attach some pictures to illustrate where I am now on the body work. 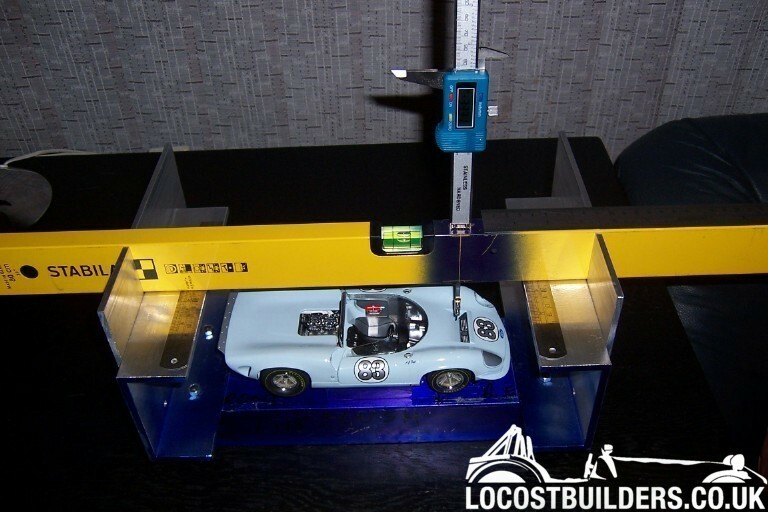 I had purchased a 1:18 scale model of a Lola T70 Spyder and made up a 3 axis measuring jig in order to measure it, on a 5 mm x 5 mm grid. This data and some reference photo's were then used to draw the body surface in Inventor. That data was then used to produce many flat body sections and some longitudinal stringers on a CNC router from 8 mm plywood sheet. I now have all 67 wooden parts in hand, and can start to put the buck together. The parts were drawn with slots so that they will clip together and self align. The rib I show in the picture is a test piece. The real ones have additional alignment holes. I have also had 350 polyurethane foam blocks cut, to glue into the spaces to form the surface. The foam will be sanded to shape and then covered with a layer of chopped strand mat and resin, to give a solid base. This will then be sanded to fair it, then coated with polyester auto body filler, and sanded again. Then the whole lot will be sprayed with surfacing compound and finally finished to give a suitable surface for moulds. Sounds easy when you say it like that, but I am sure it will take ages. It seems that people who build car body bucks often end up designing and redesigning the car as they go, which takes up a lot of time. I am hoping that going to all this trouble to produce a good framework with profiles that are exactly what I want will reduce the surfacing pain somewhat. Originally, I did not plan to attempt to create an exact replica, but now that I am going to all this trouble, it seems a pity not to get it as right as I can. I will update when I make some more progress. Your off to a great start! Keep the pictures comming. That's a fantastic way to get yourself a body! I really look forward to more updates from your project. Best of luck. I've peeked at your Lola from time to time on one of the UK forums (fora?). Great to see you here, and I look forward to seeing more of your progress. I intend to build a T70MkIII (not B) coupe once certain other projects are out of the way. I had idly fantasized about digitising my Tamiya 1:12 Lola, so it's great to see it done successfully. I'm not tech. savy with computer scale process. How do you determine the 1/18 size to to full scale without exact calculations of the origianal car? If the model is 1/18 scale, it is one eighteenth of the size of the original car. Ie any measurement taken from the model will need to be multiplied 18 times and you have the size of the original - in theory. Any errors in the scale model will be multiplied 18 times too. If you have some known dimensions of the original car (ie wheelbase, track etc) you can help remove some dimensional errors from the scale model, but it will be hard to remove errors from the actual shape of the body. That said, scale models made from the blueprints of the original car maker can be pretty accurate. When the computer draws the 3D image from the digitised model, you can tell it to multiply all dimensions by 18. I understand 1/18 is 18th of the original size in theory. I have seen a rear clip Gt40 Mark II molded with the same process. The Final product looked close but was off the mark IMHO. I also considered your process but went in another direction due to measurment issues. I would hate to see you go through all the work and not satified with the final result. Good luck and keep us updated. Your build will be very interesting to watch. Neat idea Fred - will be great to see it's progress in due course. Canam cars are way cool! Hiy guys, thanks for warm welcome and positive responses. Regarding the possible errors in scaling up, you do have to hope that the master pattern maker for the model got it right. That said, we do have the benefit of technology. We actually approached this from two directions. The guy who did the Inventor work for me (I learnt to draw when we still used pencils, ink and razor blades) first tried to develop the body by overlaying computer generated splines and curves on a 3D model devleoped from scanned in 2D plan and side views. You quickly see that the body curves and blends follow natural lines. When this exercize was partially complete we measured the model, and than added in the plotted points. We were pleased to see that they fell almost exactly onto the developed predicted lines. So we combined these techniques to get it looking right. By now we had looked at hundreds or photo's of original T70's and even those seem to vary from car to car. They also say that if it looks right, it is right, so I am hoping that it will work out well. I am not going to pretend that the panels I make will fit a real T70, but that is not the intention. 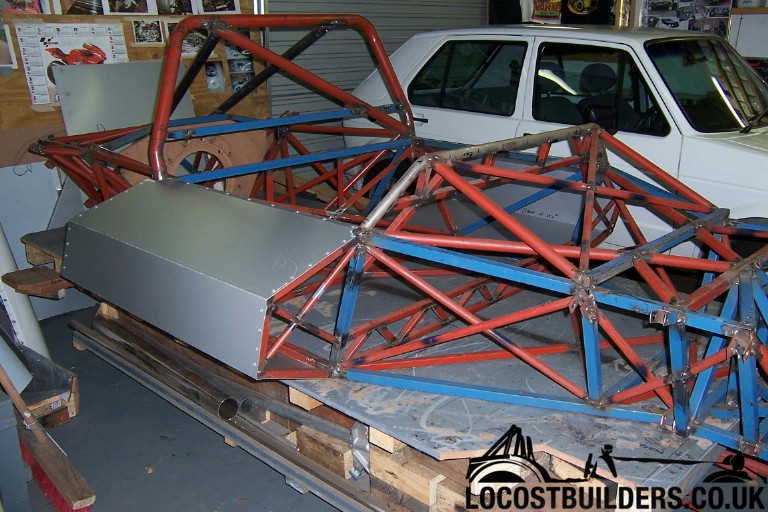 When I started my project I did not have a particular body in mind, I just wanted to build a car. But you see some home built unique body cars that just don't look great, and I didn't want to do all this work (building a car) and not have it look good. So I decided to follow a car that is accepted as looking good to everyone. So we will see what happens once the buck starts to come together. I have been help up by some domestic projects but these will be finished soon. I can't wait to get into clipping the parts together! 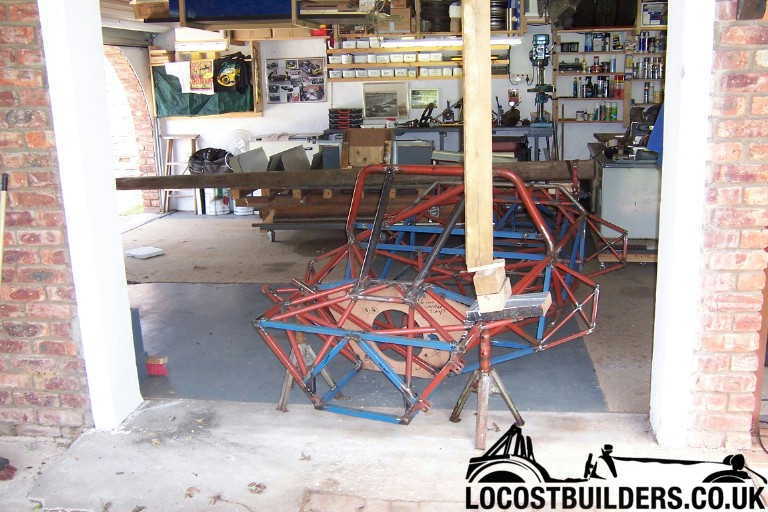 This is what the (very rough) mock up chassis looks like at the moment. Rover engine, Audi AAZ 016 trans. I designed and made the exhausts, adaptor/mounting plate and flywheel, amongst other bits. The riveted on 1.6 mm ally side boxes more than doubled the chassis torsional rigidity. The chassis mass is 96 kg. and this is me. The cheesy grin is because I had just started the motor for the first time. That's a really cool project, and I'm impressed. How accurate are the scale models? Are they really derived from original blueprints? Maybe our friend Paolo can answer this question. Most all scale models are accurate to dimensions BUT have some "poetic license" taken with shapes. If you scale a models body line perfectly, it will not "look" like the prototype. Most have some changes and curves modified to give the "look". Example: most models have less ground clearance than the 1:1 subject as they tend to look like "4X4s" when set at correct ride height in scale. Still a good place to start. How's your project going, Fred? It'd be great to see your progress. 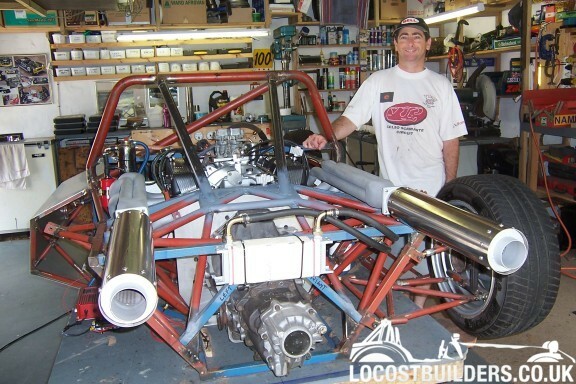 Well, it turned out to be early January 2007 before I got started on putting the framework of the body plug together. I reorganized the workshop in order to do that. With any luck I should have some better progress photos after the weekend. The latest ones are not downloaded yet. BTW Ron, if you are reading, love the upgrade. Great looking work...I am wondering how you are swapping the motor/gearbox in and out...or do I see a removable section behind the rollbar? Great use of triangulation everywhere, and a nice landscaping job to boot!